Washington D.C. has a great mixture of people and culture. Some of these cultures have made great impacts on American society. As an American, I feel greatly blessed that throughout my lifetime I have tasted foods from all over the world, yet never had to leave the country to experience these great tastes. We cannot make a list of the best flame grilled chicken in Washington D.C. without mentioning Peruvian chicken. Washington has a large Peruvian population, and one of the traditional favorites is the charcoal fire roasted chicken. We are starting off our list with the name that’s more or less synonymous with Peruvian chicken in the DC area. Peruvian chicken is made with a distinct flavor from the spit-roasted chicken through the use of charcoal and live fire. This gives the chicken a smokier, woodsier taste than a conventional oven would provide. Peruvian chicken is seasoned with a special marinade made from spices including garlic, cumin, paprika, black pepper, and a myriad of other spices kept in top secrecy. All your favorite Mexican foods are served at the Plaza Azteca. The grilled chicken is served in many ways from the fajitas, to the burritos, and enchiladas, the grilled chicken is an excellent choice. They also have a large selection of seafood, and other Latin American classics. is on the corner of Georgia Avenue and V Street in Washington DC, They are known for providing some of the District’s best down-home family style Southern dishes. 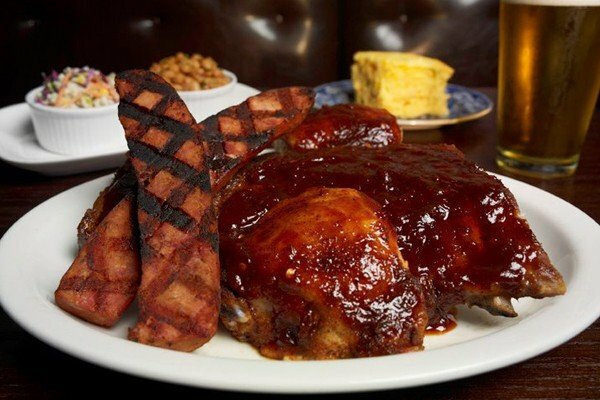 Grilled chicken is just one of their great menu items with that southern hospitality flavor. The ideal place to enjoy some good ole’ American food and fun. Grilled chicken can be ordered in many different ways, but the grilled chicken sandwich is awesome. Have a cold drink, and watch all your sporting events games on one of Gaithersburg’s 40 flat-screen TVs. This is definitely a great American bar and grill place to relax, dine, and have some good times. Is a bistro deli type place that serves up a great lunch menu to include grilled chicken. Although they are not exactly the place to go for a variety of grilled chicken favorites, it is a great place for fresh salads and other great tasting side dishes. The Breadline has a signature grilled chicken breast sandwich that is topped with specialty fat-free coleslaw. Three brothers have been living their dream to bring fresh, authentic Mexican food to the Washington DC area since 2011. Grilled chicken is one of their specialties, whether it is in a fajita, or served up with tasty side dishes, this specialty marinated grilled chicken is an awesome treat. Taste the fresh fruits or the delicious nachos with Chile con queso, the Sol Mexican Grill and Cantina is a D.C. favorite. Washington’s oldest saloon, the Old Ebbitt Grill was founded in 1856. Throughout its history, The Old Ebbitt Grill has served several of our nation’s Presidents, including McKinley, Grant, Andrew Johnson, Grover Cleveland, Theodore Roosevelt, and Warren Harding. The Old Ebbitt Grill has also been the backdrop for movies and novels. The history makes this place well worth the visit, but the grilled chicken along with the other great items on the menu really set the stage for a great dining experience. Taverns are an American tradition generated from the European culture of a place for networking. Everyone from travelers to politicians and businessmen has used taverns as a place to meet, gather, and share ideas. Martin’s Tavern is one of the oldest family run restaurants in Washington D.C., and is an up-scale place for Washington’s most influential people. Martin’s has a long history of being a place for our nation’s most influential people including several Presidents. Grilled chicken is just one of the tasty options on the menu. Rose’s is owned and operated by Chef Aaron Silverman. Mr. Silverman is very particular about the food he serves, but is also noted for the personal attention he gives his customers.Aaron understands the value his customers bring to his establishment, so he wants to give them that welcome feeling along with the satisfaction of a great meal. Rose’s has a great Southern hospitality atmosphere with the tastes of Southeast Asia, Mexico, Italy, and France. This restaurant is our number one pick; they are famous for their PERi-PERi marinade sauce that is used to flame-grill their butterfly cut chicken breasts. All or their famous chicken is marinated a minimum of 24 hours before it hits the grill. Nando’s is a Portuguese inspired restaurant with American style. The PERi-PERi sauce is a traditional Portuguese favorite that is made from the African Bird’s-eye Chili.